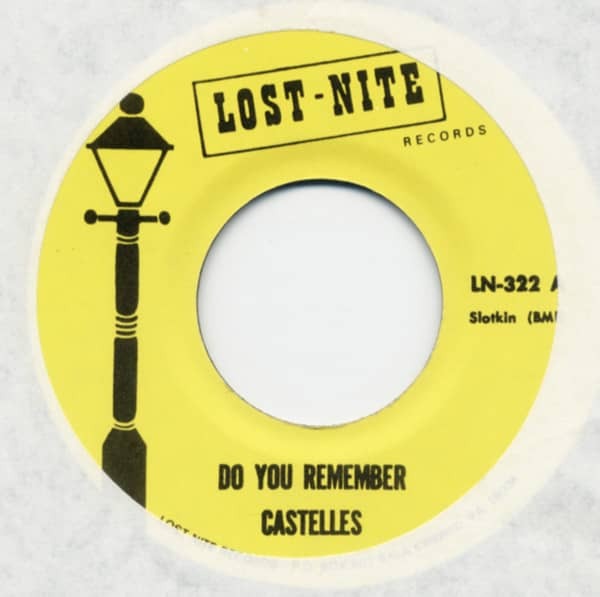 Philadelphia would develop its own R&B vocal group sound - and The Castelles were among its most important pioneers. They were in their mid-teens and sounded like it. George Grant's high lead tenor presaged the sound of The Teenagers and countless more 'kiddie' groups to come. Grant, first tenor Octavius Anthony, and baritone Billy Taylor all sang in the choir at West Philly's Sulzberger Junior High in 1949. With Clarence Dunlap their bass singer, they formed The Royal Castelles (Grant dreamed up the name, though the 'Royal' would be jettisoned). 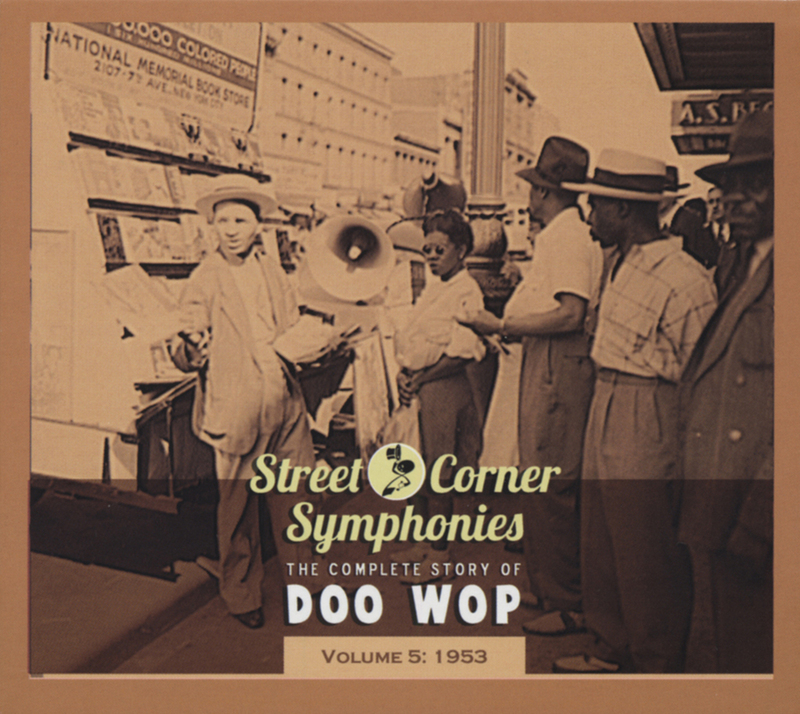 Ron Everett ended up installed as Dunlap's replacement, and in 1951 the group added second tenor/guitarist Frank Vance to the ranks. Inspired by Edna McGriff's then-recent hit Heavenly Father, Vance wrote the innocent ballad My Girl Awaits Me, a splendid vehicle for Grant's youthfully vulnerable high tenor. The Castelles cut a demo of their new creation at a penny arcade recording booth and strolled into Tregoob's Appliance Store to listen to it. Shop owner Herb Slotkin and his assistant Jerry Ragovoy were so impressed they decided to form their own label, Grand Records, to showcase the youngsters. On August 4, 1953, The Castelles recut My Girl Awaits Me professionally in Camden, New Jersey, its sparse arrangement retaining the original feel (the band was augmented for the jumping Anthony-led flip Sweetness). Released that fall, My Girl Awaits Me was a hit up and down the East Coast and as far away as Los Angeles, moving close to 100,000 copies without cracking the national R&B charts. The Castelles never breathed such rarified air again, though their first followup This Silver Ring, again spotlighting Grant's fragile tenor, registered strong local sales (it was written by future soul producer extraordinaire Ragovoy, who played piano on the track). Grant continued to be the prime focal point on their subsequent ballads Do You Remember, Over A Cup Of Coffee, I'm A Fool To Care, and a remake of McGriff's Heavenly Father that ended their Grand tenure in early '55. Slotkin tried to spin Grant off as a solo, issuing his tender reading of Over The Rainbow as by George Castelle near the end of 1954, but it didn't take. Grant, Anthony, and Taylor had been joined by bass singer/guitarist Clarence Scott when The Castelles cut their last single for Atco in March of 1956; Grant was up front for Hey Baby Baby, but Scott led Happy And Gay. George later turned up as a member of George Tindley's Modern Red Caps, leading a '66 revival of The Flamingos' Golden Teardrops on Swan. Taylor was with Sonny Til's Orioles during the early '60s, participating in their sessions for Charlie Parker Records. He died August 4, 2009. Kundenbewertungen für "Do You Remember b-w And You Just Can't Go Through Life Alone 7inch, 45rpm"